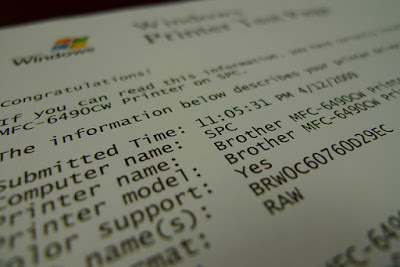 Look for the printer starts printing well and ends with problems, follow the steps below to solve the problem. This case can occur at any time with a printer of any type, so there are many reasons why, the most significant is to identify which type of printer used. If a printer ink cartridges is possible that the ink cartridges are too full or are exhausted. However if a LaserJet is possible that the toner cartridge is nearly empty. This can damage the cartridge but fill, or may damage the toner also if you fill it, it is best if we fill the cartridges to refill or check out immediately, even after filling is even possible that this problem exists. We must get in touch both with which we have filled the cartridge and with whom he has sold us the toner or ink cartridge. For any reason, this occurs because of the printer, is usually the fault of the ink or toner cartridge can help printhead cleaning cartridge, which is sure to resolve the issue. Usually it works leave a moment the ink cartridge up a napkin some toilet paper, so if you have more ink cartridge the vote, do this always with protection in both hands and place it held the process always avoid spilling ink on the body, it can be allergic.